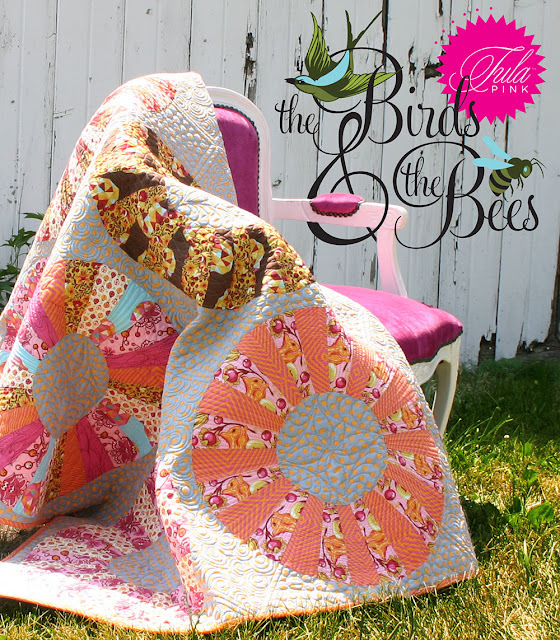 Tula Pink's new collection, The Birds and the Bees from Free Spirit Fabrics, is just as cheerful as you would imagine. Tula has an eye for color, which is made obvious in her two decadent colorways. If you are looking for a collection that is full of florals, crawling with critters and creatively colorful, look no further. The Birds and the Bees have arrived. Q: To what or whom would you dedicate this collection, or what inspired this collection? A: I dedicate this collection to myself and everyone who decides to make something out of it. I see us being in it together, but not in a cheesy way. I start the process by providing the color and the design and they finish it by cutting it up and reinventing it into a whole new product. It's all based on a love of this crazy fabric craft of ours. So, yes, I dedicate this one and all of them to us. 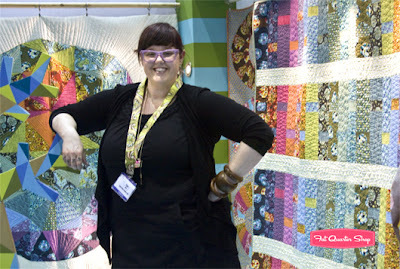 A: My new pattern Spacedust might be my favorite project of all time. I made the original quilt sort of organically without a plan. It took me forever to make but I had a shape in my head and I HAD to piece it. You know how that goes. I put it on my blog and people went crazy for it but I had no idea how to simplify the construction to the point where I could tell someone else how to make it. It took me almost two years to figure it out but I finally did and The Birds and The Bees was the perfect fabric collection to make it sing. It's a paper foundation piecing project which is my all time favorite thing to do. 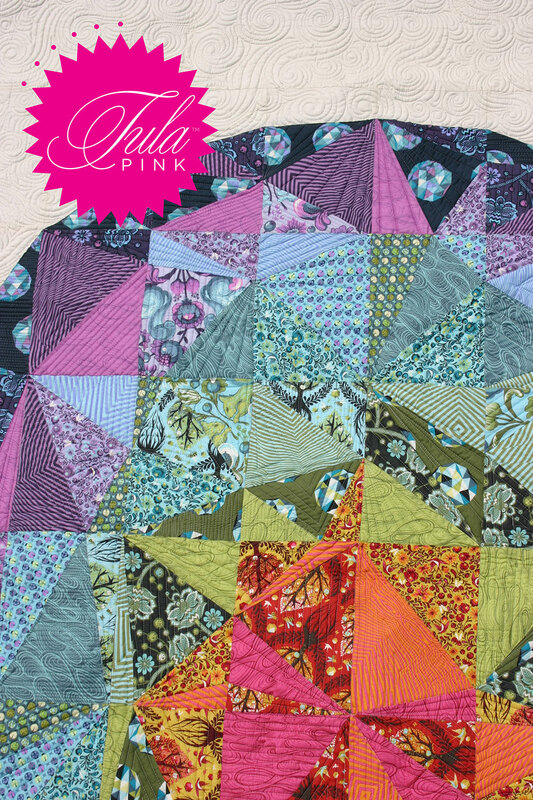 I consider it a great introduction to paper foundation piecing. It looks a lot more complicated than it actually is. A: If I could live in a movie it would probably be Akira Kurosawa's Dreams. The movie is almost all visual. It's beautiful and mysterious. You never know what is going to happen or what is possible and what is not. The world that Kurosawa creates is so vibrant and intense with color and texture. There has to be a little magic, especially if we are talking about fantasy worlds. Magic and color are the key. Q: What makes you nostalgic? A: Maybe music. Salt N' Peppa can sometimes bring a nostalgic tear to my eye and I know all the words to Motown Philly (Boys II Men) by heart. Other than that not much. I am mostly all about what's next. I don't keep things and I'm not terribly sentimental. 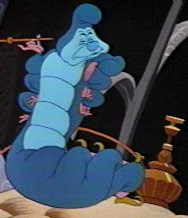 A: I would be the Caterpillar from Alice in Wonderland. He always seems to know what's going on and never seems too worried about anything. I could easily spend my days sitting on top of a mushroom spitting prophecies at everyone. I think it would be very satisfying. A: A few months ago someone asked me to take a picture with her baby. The baby was sleeping so I just knelt down by the stroller and smiled. It was hilarious. I felt like the President.